This time almost exactly nine years ago, I'll never forget the phone conversation I had with my mother. Despite it being my final semester at UD, the housing crisis had reached a new low. The stock market lost 50% of it's value in just six months. Jobs were hard to come by, and internships nearly impossible. However, I managed to get convince my to-be grad school advisor to let me start early, over the summer. I was excited to tell Mom! Me: "Yeah it's okay, I'll leave just one week after graduation." It was like a scene in a movie for me. An all time high note quickly turned into a conversation of disbelief. Why wasn't she as excited as I was? I couldn't understand. What she must have understood is when students move 1000 miles away for grad school, they don't just move back. They build relationships in the local area, which lead to interviews, and ultimately job opportunities in the vicintiy. None of these things result in moving home to Mom. Two and a half years later, the grad school role led to a full time engineering position in Chicago. And before I knew it, I was travelling back and forth to Vancouver, Canada for work. And in the spring of 2014 after what was already an eight month trip, I was asked to stay. What an opportunity. It was hard to appreciate it as much at the time, but looking back, I know how lucky I was. Vancouver is an international magnet, attracting people from all around the globe. Host of the 2010 Winter Olympics, some of the nicest real estate in the world, and unrivaled wild beauty, Vancouver is to die for. Everything started to connect. I realized how many movies were filming in Vancouver. Then I realized how drones were supported. And finally, how my camera related background could now be taken to the air. To collect engineering data, promote engineering projects - anything engineering, but this time with drones! The progression quickly evolved from drones for my engineering firm, to a business with drones outside my engineering firm, to then DSLRs, and business promos, and finally niching down to dynamic wedding films via Capture Productions. It was all about stories - how to tell a story of a project, of a business, or a couple. After a very successful 2016 season with Capture Productions, still working my full time job as an engineer, I started getting home sick. I missed my family. The five year anniversary (starting in Chicago) with the company was approaching, so it was a good time to transition. Before diving into the move home and what I've been up to for the last year, I'd like to speak a little more on the camera trajectory. 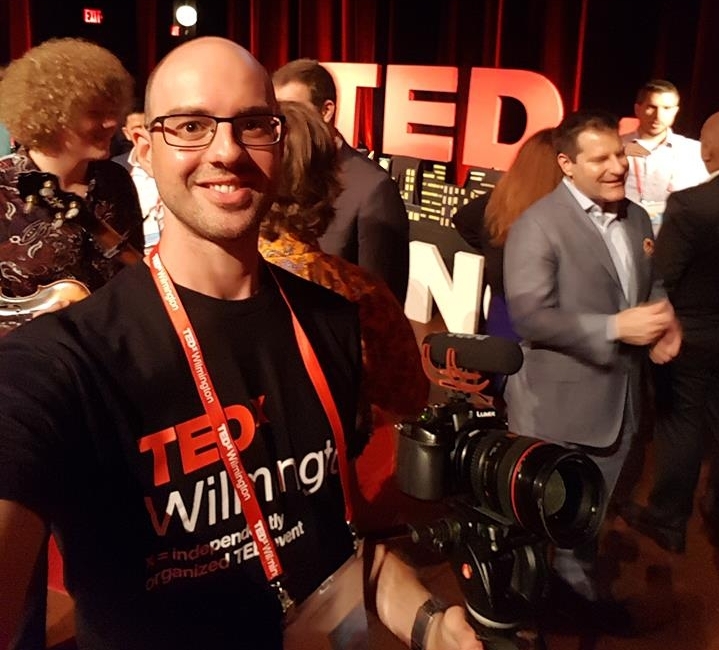 How data collection, drones, weddings, YouTube shows, and TEDx speaker interviews are all connected.